Â· Official Scoring - There is no scoring kept for this league. Â· No minimum player requirement. Â· Time Limit - No new inning will start after 45 minutes from start time. Â· Fielding - Entire roster takes defensive position in the field. For T-ball the players should stay at least 50 feet from the plate. The bases are 60 feet so no more than 10 feet closer than 1 st and 3rd and then in a 50 foot radius of that. Â· For Coach Pitch the players should be no closer than the 5 feet behind the base path in a squared arrangement in positions or similar positions to a baseball team. 1 pitcher is allowed and should wear a helmet. Â· The catcher position will not be used for this league. Â· Batting - Each team bats through the order to complete the Â½ inning. If a player miss-hits the ball and it only goes a couple of feet from home plate, coaches promptly yell â? ?foul ballâ?? the player will be allowed to re-hit. Similarly, if a player hits the ball well and it is minimally foul, the coaches should yell â? ?fair ballâ?? and the player should be awarded the hit and continue on to 1st base (let them play). Â· Runners may only advance one base (at a time) for each following at bat. Â· No batter or runner will be called out for any reason. Â· Helmets with facemask and chin strap are required. Helmets must be worn at all times, when on the field of play, for offensive team members (Helmets on until safely in the Dugout). Â· Facemasks are required on all helmets through age 10 where it becomes optional. Â· No players should be holding and/or swinging a baseball bat unless they are batting or in the on-deck circle. The offensive coach should ensure that area around the circle is clear before allowing on-deck batter to swing a bat. No holding or swinging of bats inside of dugout. Â· Coaching Duties, defensive coaches are allowed on the playing field. Offensive coaches are allowed on field to assist batter with T as well as base coaches to instruct base runners. Coaches should not attempt to make a play or interfere with a hit ball, allow the fielders to field the ball. Â· For coach pitch coaches may want to pitch from 1 knee of underhanded. The trajectory of the ball, from an overhand throw, from an adult, is pretty hard to hit, for a U6 player. All Star Coaches and Player Selections - The process for selecting All Star Coaches and Players will be governed by the SBYSA Board. Â· Time Limit - No new inning will start after 60 minutes from game time. 2 nd game should start within 15 minutes of the end of the 1 st game. Coaches please have your teams ready to start on time. Â· No more than, 4 Approved, Back Ground Checked, coaches allowed on the field/dugout on game day. Â· Exchange lineups no later than 10 minutes prior to the beginning of the game, home team scorebook will be official scorer. Must provide the umpire, official scorer and opposing coach with defensive and/or lineup changes in advance and ensure that both scorebooks are matching. Each scorekeeper should compare books at the end of each Â½ inning. Â· 7 Run per Inning Rule and 15 Run Rule after 3 innings are in effect. Â· Participation / Substitutions- Minimum requirement of 8 players to begin game. No player sits more than 3 consecutive outs. No defensive shuffling once a pitch has been thrown to start an inning. Ex, you canâ? ?t switch the 2 nd 1st baseman after the 1st pitch has been throw. No defensive substitutions during an inning except for the reason of injury or reasonable urgency from the player (bathroom break, leaving early etc.). They are only 8U. Â· Fielding- The infielders must play one of the six infield positions while not obstructing the base paths and the ball is considered a live ball until in the play natural ends by ball being thrown to base in front of runner or in the possession of player pitcher with the player pitcher being located inside the pitching circle (play is live until umpire calls time) See DYB Rules (p.105 / 107). WE have learned in tournament play that if the runner doesnâ? ?t stop, even with the ball in the pitchers circle, the runner can advance until he is stopped. To stop the play the ball has to be to the base in front of the runner, and then time will be called. Time will not be called on advancing runner even with the ball in the circle. Â· Batting - The batter is allowed five (5) total pitches, unless the last pitch is a foul ball, for the first 6 scheduled games, beginning on the 7th scheduled game, until season ends, the batter is allowed five (5) pitches or three (3) strikes, unless the last pitch is a foul ball. Three consecutive balls outside of the strike zone (balls) requires machine adjustment and a new pitch count. Â· A batter hit by the pitch is awarded first base. Â· Slap Bunting as well as, squaring and then swing away - is prohibited. See DYB Rules (p. 107). Â· Use of Helmets-Helmets with facemask and chin strap are required. Helmets must be worn at all times when on the field of play for offensive team members and defensive player pitcher (Helmets on until safely in the Dugout). - See DYB Rules. Â· Pitching Machine Settings/Guidelines - Electrical cord and ball bucket considered part of machine, hit or thrown ball that contacts machine is a dead ball. See DYB Rules. Â· Set machine to 40MPH. The machine canâ? ?t be adjusted at all, until it throws 3 consecutive balls to a batter and then time is called and the machine is adjusted and the batter starts his at bat over with a new count. Â· Approved Bats - All bats must be in compliance with Dixie Youth Baseball rules. Â· Dugout and On Deck Safety - No players should be holding and/or swinging a baseball bat unless they are batting or in the on-deck circle. Â· The on-deck batter should ensure that area around the circle is clear before swinging a bat. No swinging of bats inside of dugout. The On-Deck batter must be in the on-deck circle behind the batter at home plate. See DYB Rules. Â· Time Limit - No new inning will start after (10U 75 minutes) (12U 80 minutes) from game time. 2 nd game should start within 15 minutes of the end of the 1 st game. Coaches please have your teams ready to start on time. Â· No more than, 3 Approved, Back Ground Checked, coaches allowed on the field/dugout on game day. Â· Exchange lineups no later than 10 minutes prior to the beginning of the game, home team scorebook will be official scorer. Must provide the umpire, official scorer and opposing coach with defensive and/or lineup changes in advance and ensure that both scorebooks are matching. Each scorekeeper should compare books at the end of each Â½ inning. Compare pitch counts as well as runs scored. Â· 7 Run per Inning Rule and 10 Run Rule after 4 innings are in effect. See Rule book, more than 7 runs can be scored on a home run and ground rule double. Â· Participation / Substitutions- Minimum requirement of 8 players to begin game. No player sits more than 3 consecutive outs. No defensive shuffling once a pitch has been thrown to start an inning. Ex, you canâ? ?t switch the 2 nd 1st baseman after the 1st pitch has been throw, unless you also change pitchers. No defensive substitutions during an inning except for the reason of injury or reasonable urgency from the player, unless you also change pitchers. Â· Use of Helmets-Helmets (with facemask is require for 10U and optional for 12U. SBYSA recommends and encourages the use of a facemask and will provide one to any player.) and chin strap are required for Helmets must be worn at all times when on the field of play for offensive team members and defensive player pitcher (Helmets on until safely in the Dugout). - See DYB Rules. Â· Base Running - There are No Lead Offs. Runners may advance on a passed ball, or once the pitched ball reaches home plate. The penalty for leaving early is defensive choice of pitch. Example if batter hits into the 3 rd out of the inning the defense can take the out and inning over. If its ball 3 and the runner leaves early and proceeds to steal 2 nd, the defense can elect to put the runner back on 1 st and go back to 2 balls in the count and do it over. Exception, there is no penalty for leaving early if the batter hits a home run or ground rule double over the fence. See DYB rule book. Â· Approved Bats - All bats must be in compliance with Dixie Youth rules. Â· Time Limit - No new inning will start after 90 minutes from game time. 2 nd game should start within 15 minutes of the end of the 1 st game. Coaches please have your teams ready to start on time. Â· Baserunners can â? ?lead offâ?? and advance at their own risk at any time during live play. Balks should be enforced per baseball rules. 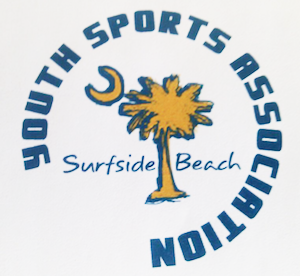 Â· Use of a helmet is required when on the batting team and outside of the dugout, facemasks are optional, but recommended and encouraged by SBYSA. SBYSA will provide a helmet with facemask to any player who requests one. Â· Time Limit - No new inning will start after 60 minutes from game time. 2 nd game should start within 15 minutes of the end of the 1 st game if applicable. Coaches please have your teams ready to start on time. Â· No minimum number of players required. Â· The coach that is pitching can play the position if the team has less than 9 players. Â· The player in the pitcher position should wear a batting helmet with face mask. Â· No stealing, runners advance on batted balls only. Â· Each player has 5 pitched balls to hit or 3 strikes, whichever comes later. So if all 5 pitched balls are strikes then she is out after 5. If 2 of 5 are strikes, (either swinging or called) she gets more until 1 more is a strike. Â· Use of Helmets-Helmets with facemask and chin strap are required. Helmets must be worn at all times when on the field of play for offensive team members and defensive player pitcher (Helmets on until safely in the Dugout). - See DS Rules. Â· Time Limit - No new inning will start after 75 for 10U and 80 for 12U, minutes from game time. 2 nd game should start within 15 minutes of the end of the 1 st game if applicable. Coaches please have your teams ready to start on time. Â· Participation / Substitutions- No minimum number of players to start. No player sits more than 3 consecutive outs. No defensive shuffling once a pitch has been thrown to start an inning. Ex, you canâ? ?t switch the 2 nd 1st baseman after the 1st pitch has been throw, unless you also change pitchers. No defensive substitutions during an inning except for the reason of injury or reasonable urgency from the player, unless you also change pitchers. Â· Runners can advance one the ball reaches home plate. Â· Runners canâ? ?t advance once the ball is in the pitchers circle. See rule book for details. Â· Runners canâ? ?t advance on a 3 rd strike. Â· Use of Helmets-Helmets with facemask and chin strap is required. Helmets must be worn at all times when on the field of play for offensive team members and defensive player pitcher (Helmets on until safely in the Dugout). - See DS Rules. Â· Time Limit - No new inning will start after 90 minutes from game time. 2 nd game should start within 15 minutes of the end of the 1 st game if applicable. Coaches please have your teams ready to start on time. Â· Runners can advance once the ball is released from the pitchers hand. Â· Runners can advance on a dropped 3 rd strike as long as 1st base is open or it will be the 3 rd out.